A pretty mug decorated with polka dot hearts and ribbon. 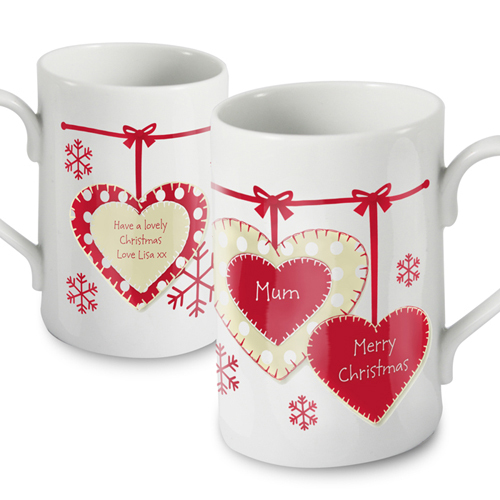 Personalise this Christmas Heart Windsor Mug with any name up to 12 characters and any message over 3 lines and up to 15 characters per line on the reverse of the mug. The wording 'Merry Christmas' will be fixed text on this item. Personalise with any name up to 12 characters and any message over 3 lines and up to 15 characters per line on the reverse of the mug.